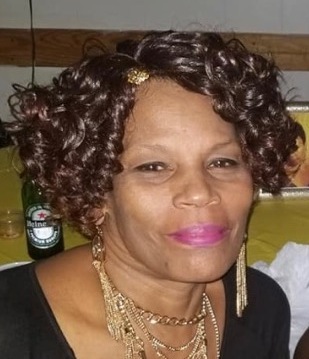 Glenna Mae Ricks, daughter of the late Willie Sr. and Magnolia Ricks was born on October 1, 1953 in Norfolk, VA. She was called to her eternal resting place on March 25, 2019 in Virginia Beach, VA. Glenna was raised with high Christian values and had a high spirit when she praised the Lord. She was educated in the Portsmouth Public School System , attending I.C. Norcom High School. She retired from the Portsmouth School board after 28 years of dedicated service. Glenna was a fun-loving and bubbly person. Her personality was captivating, and energizing to all those that were around her. When she entered a room, she put smiles on everyone’s face. She was pre-deceased by her son, Dominic Ricks, her brother, Jack Williams, and a sister, Gloria Ricks. She leaves to cherish her memory, a grandson, Malachi Elliott, a sister, Yvonne Johnson (Jonesboro, GA), two brothers, Willie Ricks Jr. and Thomas Ricks (Sheila), both of Norfolk, VA; a special friend, Henry Moore, and a host of nieces, nephews, cousins, and friends. I’m really gonna miss our talks at get together. My deepest sympathy to the family and friends.